How did I hear about the Commonwealth Scholarships? I am a medical doctor by profession and I graduated medical school in 2007 from the University of Nigeria, Nsukka. I went through the motions of doing my Housemanship and National Youth Service and was lucky to secure a position at the National Hospital Abuja for my residency in 2010. In all that time, it never occurred to me to look for scholarships home or abroad. During my undergraduate days, I had tried to apply for Chevron and Mobil scholarships but wasn’t successful primarily because my state was not an oil-producing state at the time. That experience somewhat gave me a bad impression of scholarships. By the time I was 2 years into my residency program in Hematology, I realized I wanted to gain more in-depth knowledge of transfusion medicine. Thus began my search for courses in transfusion medicine. Through my husband, I learnt about the Commonwealth scholarships and my initial attempts to apply for it was disappointing because the phone number listed on the website for the Nigerian nominating body was unavailable and I never got a reply to the mail I sent to the listed email address. However, in 2015 I discovered the website opportunitiesforafricans.com and got to know about the Commonwealth Shared scholarships from there. Providentially also, a course in transfusion and transplantation sciences was up for the Commonwealth shared scholarship at the University of Bristol that same year. Although I started applying to Imperial College as my second option, I ended up completing and submitting just the one application for the course at Bristol University. As God will have it, I was successful the first time around and it was a truly life-transforming experience. I got to know about the Commonwealth distance learning scholarships from the Commission itself after I became a beneficiary of one of their awards. After completing my MSc course in 2017, I returned home to Nigeria to complete my residency program and during that time, I wanted to keep challenging myself with my academics. 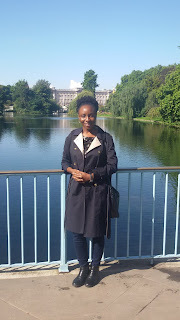 Hence, I applied for the Commonwealth distance learning scholarship for an MSc course in Clinical trials at the London School of Hygiene and Tropical medicine, and MPH (Management of Health systems) at the University of Liverpool. I was blessed to be offered both scholarships and after due consideration, I chose the MPH at the University of Liverpool. One can only hazard guesses on why an application is selected over the next one for reasons of not being privy to the meeting of the scholarship board. However, these are some of the things I believe help to determine a successful application. Good academic background: Many people would have used the word excellent to describe the academic background required to secure a Commonwealth scholarship. However, from my experience, that may not be the case as I met a scholar during my study that had a second class degree. So do not let your second class degree deter you from applying. What is important I believe is to not have any fails in your transcript. Committed referees who are willing to write a comprehensive reference letter for you. Do not underestimate any section of the application, for instance the section on your volunteering experience. In all things, God has the final say. God’s grace and favor are indispensable in your application process. The Commonwealth scholarship is wonderful in that it covers all the possible expenses of stay in a foreign environment including travel costs, accommodation, and feeding. However, it is up to the Commonwealth scholar to manage the funds to cover all these expenses (the real definition of living within one’s means!). I initially struggled to secure suitable accommodation but that eventually was sorted out. My course took place in a research facility outside the school’s campus and that made involvement in campus activities somewhat difficult. Nevertheless, I managed to work for the University in a paid volunteer role, joined knitting and yoga society and attended the activities of the International Society at Bristol. 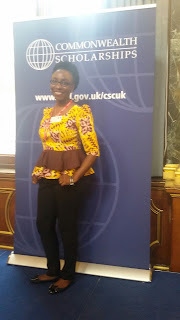 I attended an international conference in another city in the UK with part sponsorship from the Scholarship commission which was really great! I’ll like to encourage anyone who desires to further their education but doesn’t have the funds to consider applying for Commonwealth scholarships. They literally have scholarships for every field of study. My studies have given my career a huge boost and the exposure is certainly priceless. I’ll like for you to know that those that get scholarships don’t have 2 heads and that you could be one of them. Don’t give up! Congratulations Ma. Can I write the English Proficiency test for an unconditional admission into University of Bristol after getting the scholarship?